The Hyundai Coupe may finally receive a replacement worthy of being called a sports car. The spyshot above shows the new Hyundai Coupe on tests, however what’s interesting is the new Hyundai Coupe will be based on Hyundai’s new BH platform, which will also underpine the Hyundai Genesis. 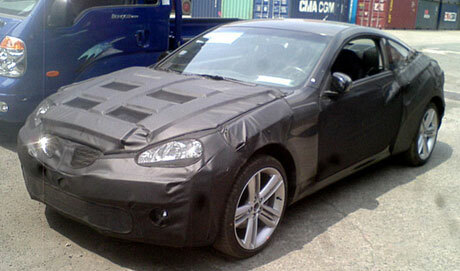 And like the Genesis, it will be rear wheel drive! Yes, the Hyundai Coupe will finally be able to do doughnuts and swing around the corner in the typical RWD style, shoved along by a Tau-family 300 horsepower 4.6 litre V8 engine. As a sidenote, have you seen this twin-engined all-wheel-drive Hyundai Coupe? 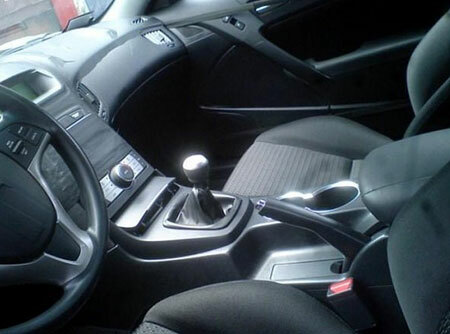 Check out more spyshots including one of a pretty sweet-looking interior that somehow reminds me of the Subaru B9 Tribeca’s interior after the jump. Previous Post: 997 Porsche 911 GT2 Spied!